Flood Bros. Disposal presents The Skinny & Houli Show as we welcome our friend Sarah Martin Lorenzi back to the show. Sarah is Executive Director of CAAEL, Chicago Area Alternative Education League, which her late dad, John Martin, founded over 42 years ago. CAAEL is an athletic league for kids who ordinarily would not be able to participate in sports or activities at their schools. They provide coaching and competition for over 5,000 special education/at-risk students participating each year in events promoting sportsmanship, leadership, and teamwork. Sarah is carrying on the legacy started by her father and her passion for CAAEL is contagious! They’re celebrating with a fundraiser on September 8th at Tavern on LaGrange, CAAELCHELLA with live music, dinner, and a live auction. For more info, visit caael.org/caaelchella. 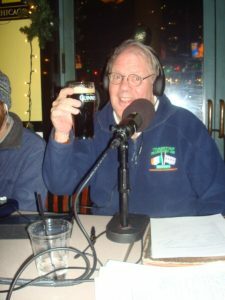 Then our old pal, Mike “Pickle” Joyce calls in to talk up “Ring Around the Warrior” a boxing benefit for kids presented by The St. Cajetan’s Men’s Club. Mike is the founder of Celtic Boxing Club on 111th Street in Chicago. More info at celticboxing.com.